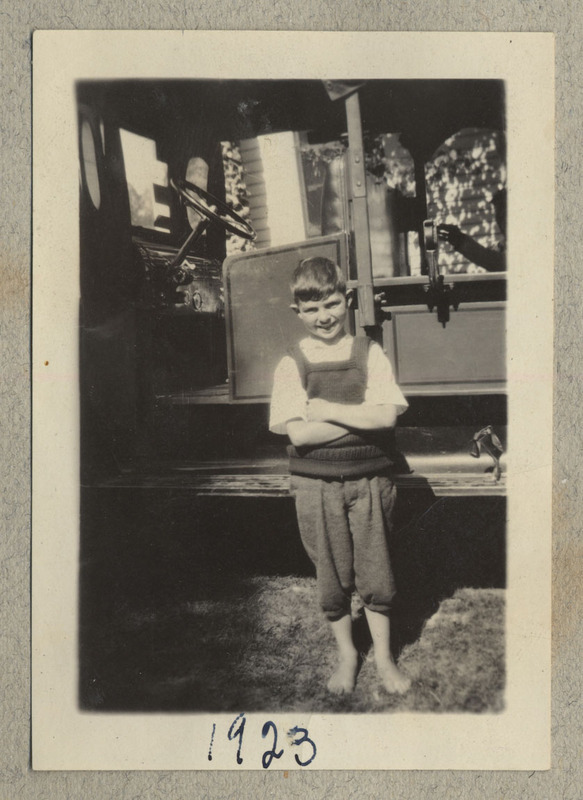 A young child stands, smiling, with arms crossed, in front of a vehicle. 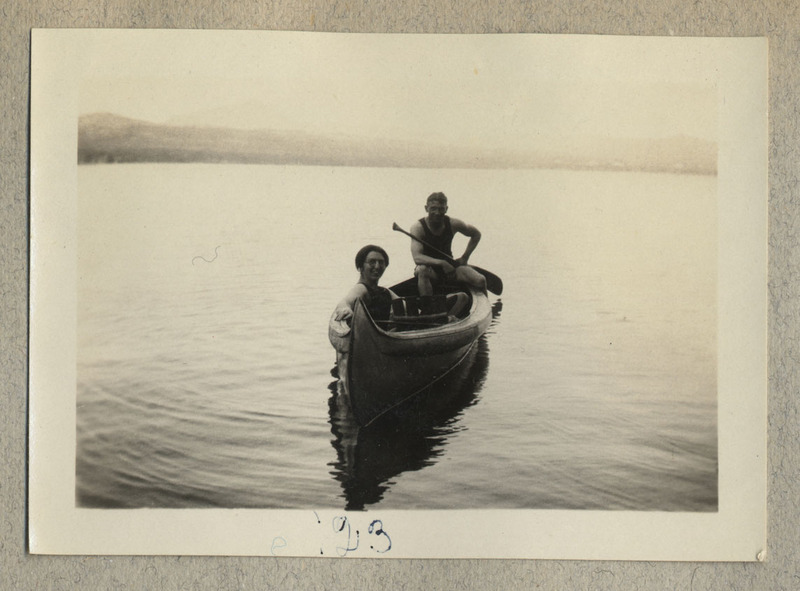 Caption: "1923"
Photograph of two people in a canoe, smiling at the camera. 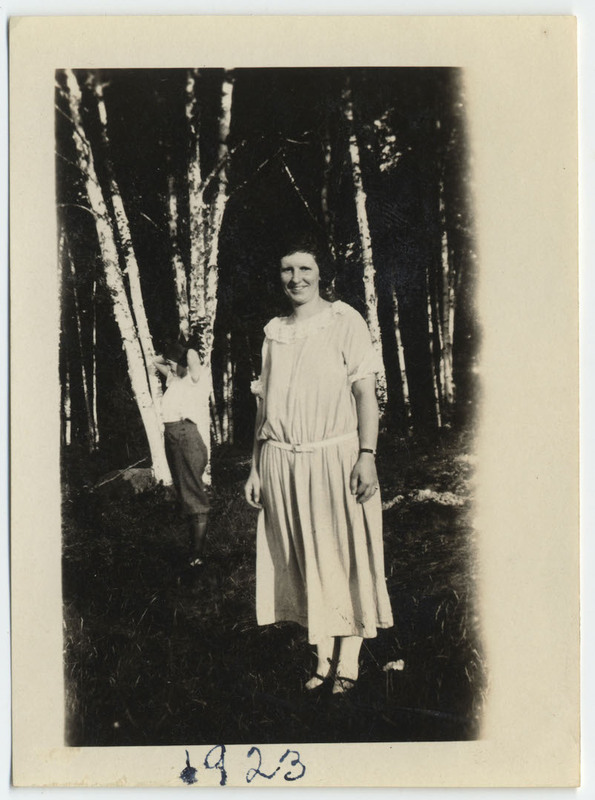 The person in the back holds an oar, the person in front wears glasses and may be Ruth. 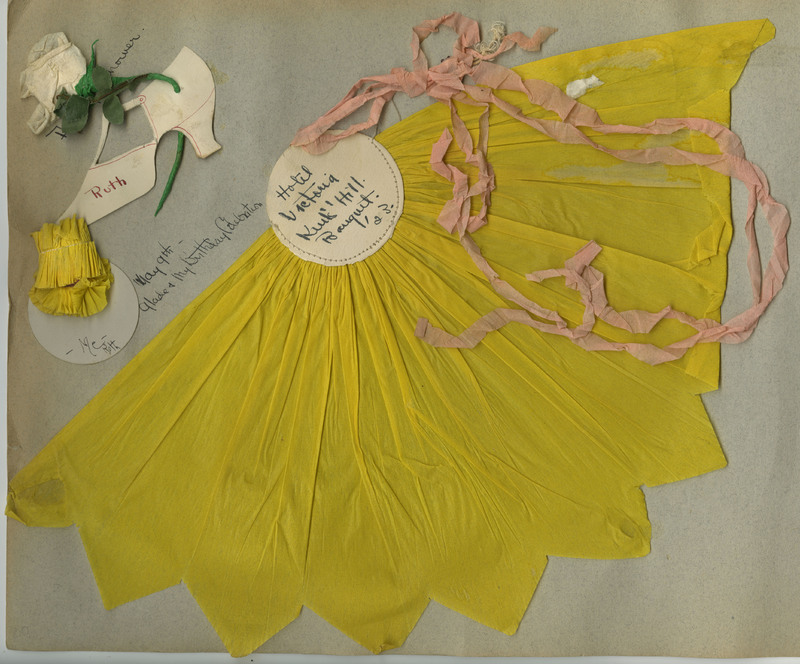 Caption: "'23"
Name tag with face beneath tissue paper bonnet/collar. 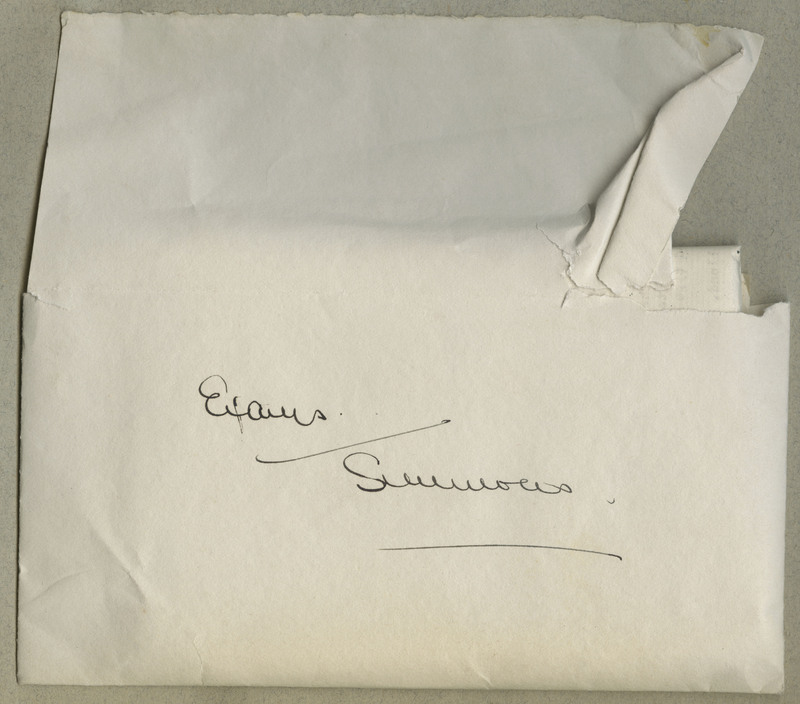 Object is adhered to white circle featuring text in black ink. 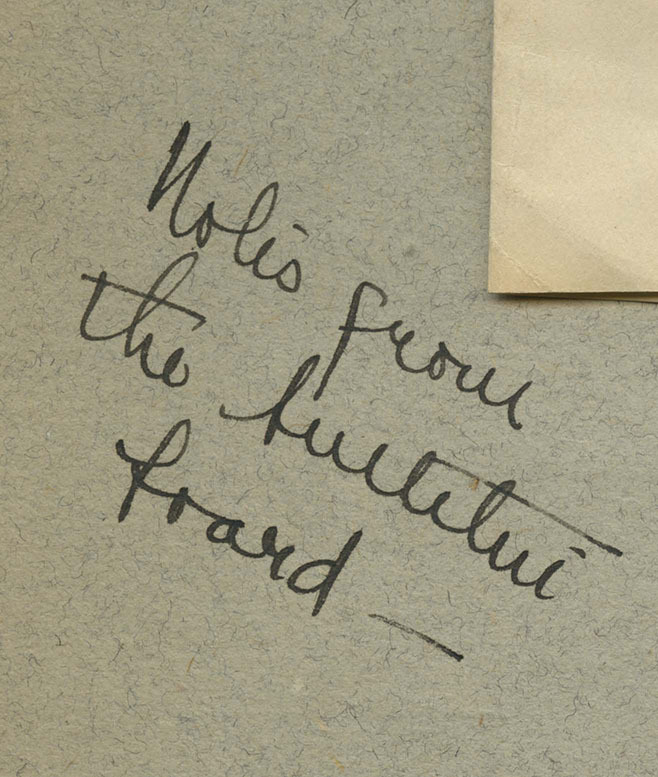 Transcription: "-Me- / Ruth". 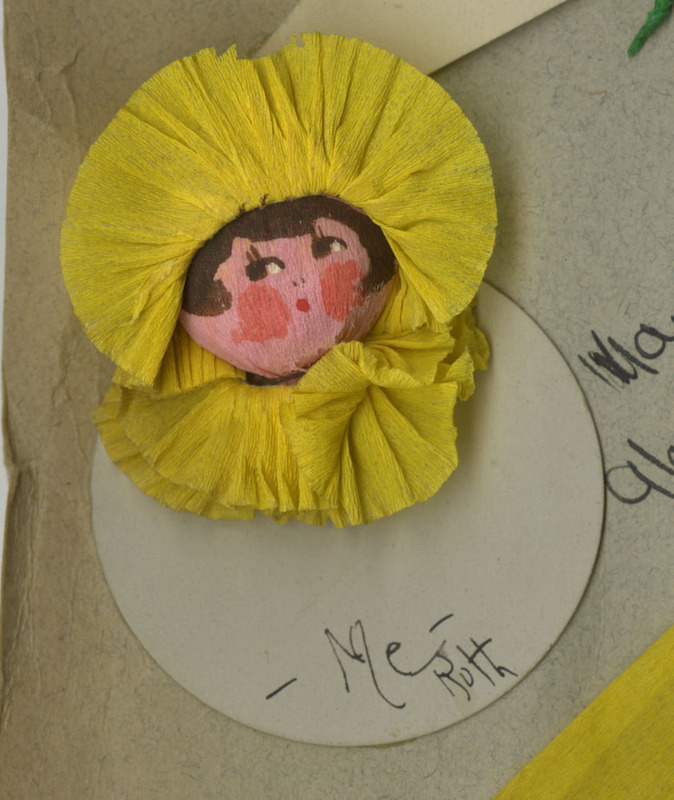 Paper shoe with paper flower poking through. 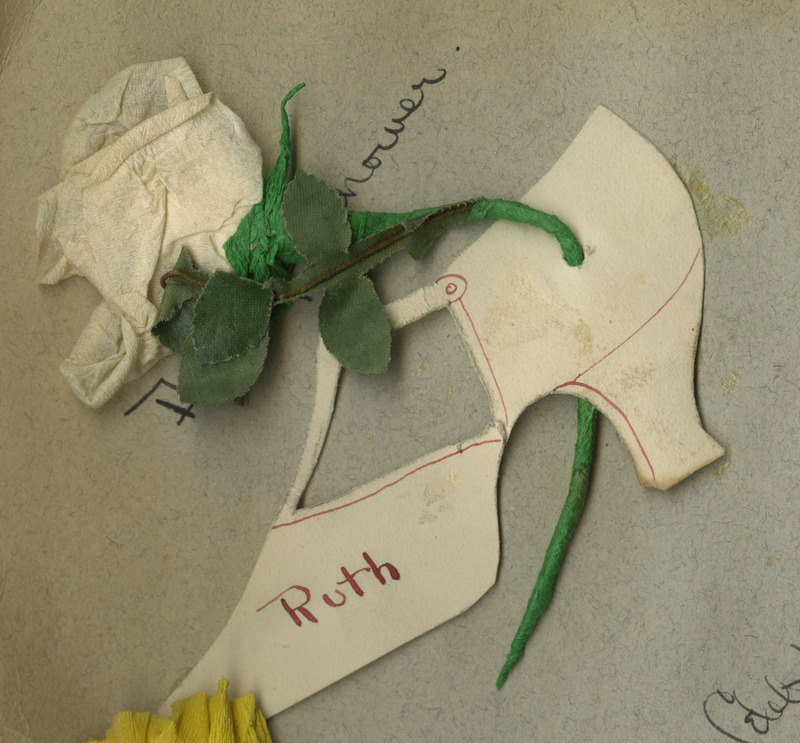 Flower has a wire stem, shoe has "Ruth" written in red ink. Beneath item is a caption: "Daisy's [?] shower." 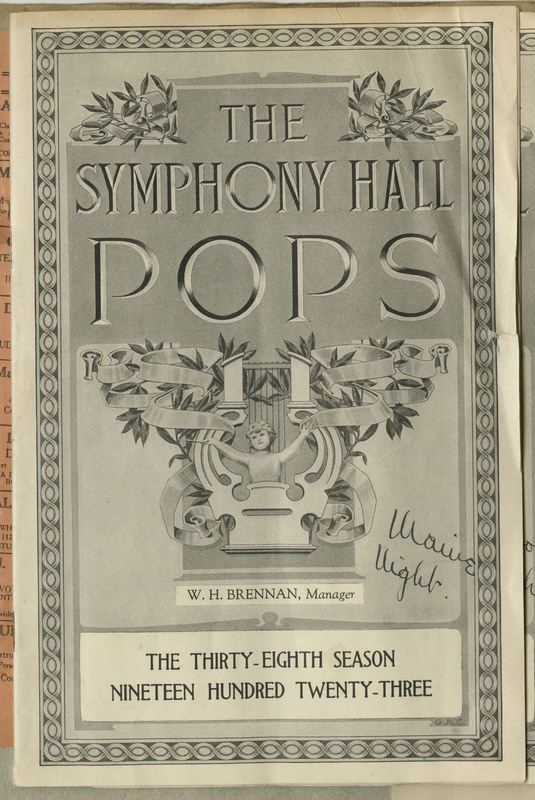 Concert program for "The Symphony Hall Pops"
Transcription: "The / Symphony Hall / Pops / W.H. Brennan, Manager / The Thirty-eighth season / Nineteen hundred twenty-three". 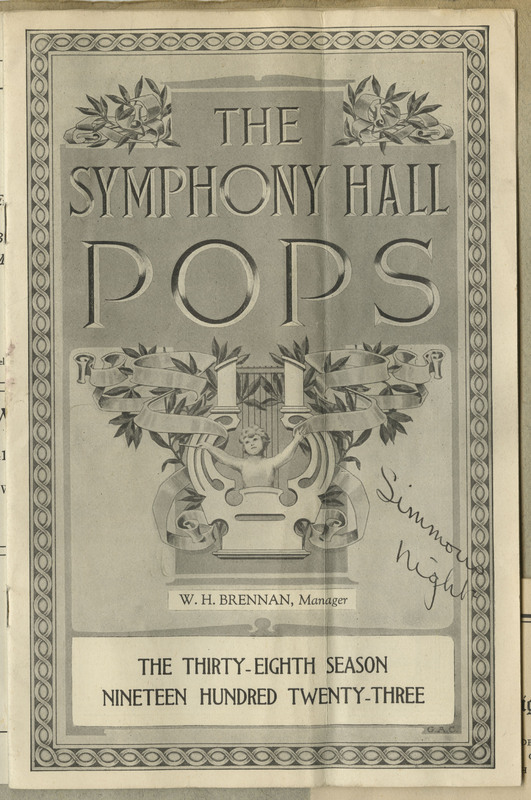 Caption: "Simmons night"
Transcription: "The / Symphony Hall / Pops / W.H. Brennan, Manager / The thirty-eighth season / nineteen hundred twenty-three." Caption: "Simmons night"